An echocardiogram Len Charlap underwent in 2013. It showed a thick, damaged valve that was preventing blood (in color) from flowing adequately from the main pumping chamber of his heart, top, to the rest of his body. PRINCETON, N.J. — Len Charlap, a retired math professor, has had two outpatient echocardiograms in the past three years that scanned the valves of his heart. The first, performed by a technician at a community hospital near his home here in central New Jersey, lasted less than 30 minutes. The next, at a premier academic medical center in Boston, took three times as long and involved a cardiologist. Testing has become to the United States’ medical system what liquor is to the hospitality industry: a profit center with large and often arbitrary markups. From a medical perspective, blood work, tests and scans are tools to help physicians diagnose and monitor disease. But from a business perspective, they are opportunities to bring in revenue — especially because the equipment to perform them has generally become far cheaper, smaller and more highly mechanized in the past two decades. And echocardiograms, ultrasound pictures of the heart, are enticing because they are painless and have no side effects — unlike CT scans, blood draws, colonoscopies or magnetic resonance imaging tests, where concerns about issues like radiation and discomfort may be limiting. Though the machines that perform them were revolutionary and expensive when they first came into practice in the 1970s, the costs have dropped considerably. Now, there are even pocket-size devices that sell for as little as $5,000 and suffice for some types of examinations. With pricing uncoupled from the actual cost of business, large disparities have evolved. The five hospitals within a 15-mile radius of Mr. Charlap’s home here charge an average of about $5,200 for an echocardiogram, according to an analysis of Medicare’s database. The seven teaching hospitals in Boston, affiliated with Harvard, Tufts and Boston University, charge an average of about $1,300 for the same test. There are even wide variations within cities: In Philadelphia, prices range from $700 to $12,000. Dr. David Wiener, the chairman of the advocacy committee of the American Society of Echocardiography, acknowledged the wide price disparities but said he did not believe they were greater than those for other health care services and procedures. He attributed the variations to multiple factors, including how many hospitals and doctors perform the procedure, state regulations and the need to subsidize poorly reimbursed services. In other countries, regulators set what are deemed fair charges, which include built-in profit. 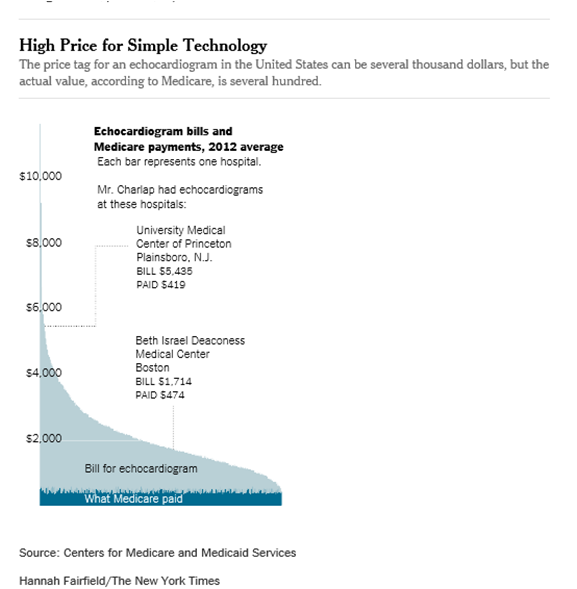 In Belgium, the allowable charge for an echocardiogram is $80, and in Germany, it is $115. In Japan, the price ranges from $50 for an older version to $88 for the newest, Dr. Ikegami said. Because Mr. Charlap, 76, is on Medicare, which is aggressive in setting rates, he paid only about $80 toward the approximately $500 fee Medicare allows. But many private insurers continue to reimburse generously for echocardiograms billed at thousands of dollars, said Dr. Seth I. Stein, a New York physician who researches data on radiology. Hospitals pursue patients who are uninsured or underinsured for those payments, he added. Len Charlap, 76, at home in Princeton, N.J. He underwent two echocardiograms in 2012 and 2013, which differed in cost by more than $4,000. Mr. Charlap’s internist required his first echocardiogram because he was scheduled for elective cataract surgery at the University Medical Center of Princeton at Plainsboro. 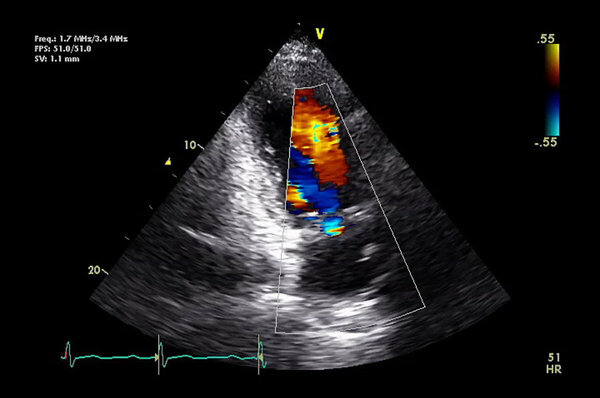 The echocardiography professional society specifically advises against ordering the test for preoperative assessment of patients with no history or symptoms of heart disease. Using sound waves transmitted through a wandlike device applied to the chest, echocardiograms show the heart’s walls in motion, the tiny valves flipping open and closed and the blood streaming through them. They can be vital before surgery in patients with weak hearts, because general anesthesia and blood loss during surgery can bring out otherwise silent problems. Mr. Charlap had no cardiac symptoms and took long daily walks with his dog. Cataract surgery involves only local numbing, not general anesthesia. But health considerations are not the only factor driving the use of echocardiograms in America. In Britain’s National Health Service, all echocardiograms are done in hospitals without charge. There are about 250 echocardiogram centers in the country, said Dr. John Chambers, a cardiologist at St. Thomas’ Hospital in London who studies echocardiography. By contrast, in the United States, buying an echocardiogram machine is a good investment for an entrepreneurial practice. The number of echocardiograms ordered by cardiologists in the United States rose 90 percent from 1999 to 2008, according to a 2012 study. There are far more places to get one in New Jersey than in all of Britain, according to the Intersocietal Accreditation Commission, which accredits medical facilities. While M.R.I. scanners are large and cost many millions of dollars, even high-end echocardiogram machines are generally rolled around on wheels and cost under $300,000 — about one-third of the price three decades ago when adjusted for inflation. Laptop-size systems cost $30,000 to $100,000 — used machines even less — and are suitable for all but the most complicated cases. 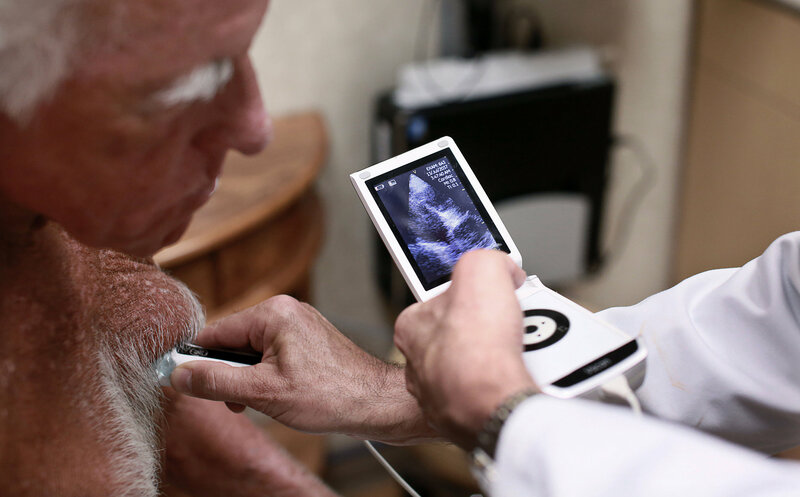 Al Lojewski, the general manager of cardiovascular ultrasound at GE Healthcare, the world’s biggest maker of ultrasound machines, said the miniaturization of electronics and the addition of processing power had led to much-higher-quality images and more precise calculations. “We provide new enhancements every year,” he said. But, like new features on an iPhone, they may be irrelevant for many people. “It’s a stable technology that hasn’t changed much in decades,” Dr. Topol said. But new options can result in more testing anyway. Three years ago, the echocardiography group helped develop guidelines for appropriate use of the test. “We all recognized what we needed to do,” said Dr. R. Parker Ward, a cardiologist at the University of Chicago, who helped write the guidelines. He noted that noncardiologists ordered many of the unneeded exams, and that new applications, such as screening cancer patients for early warning signs of heart damage caused by chemotherapy, might expand the use of the tests. While academic hospitals have led the call for more targeted use of echocardiograms, not all doctors comply, and “it’s a black hole what’s going on in offices,” said Dr. Rory B. Weiner, a professor at Harvard Medical School. There is not even a good estimate of how many of the procedures are performed in the United States, although it is clearly in the tens of millions annually. The profit margin on the test is impossible to calculate because purchase prices for the machines are secret. GE declined to provide price information for its machines in the United States or other countries. Nor would it reveal how many machines it sold in the United States, other than to say that one-third of its global sales — $330 million out of $1.1 billion — were in this country. The Sakakibara Heart Institute, one of Tokyo’s finest private clinics, performs about 60 echocardiograms a day, or 16,000 a year. As in the United States, doctors and hospitals in Japan are paid each time they deliver a service. (Japanese patients’ co-payments vary from 10 to 30 percent.) Perhaps predictably, as in the United States, doctors there order lots of tests. 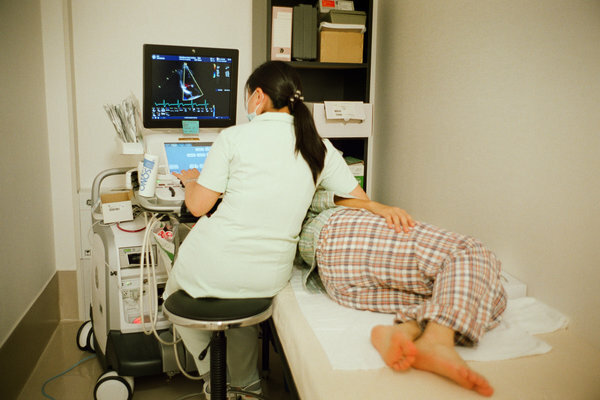 A technician performing an echocardiogram at Sakakibara Memorial Hospital in Tokyo. Claims data shows that Japanese patients received 6.6 million echocardiograms last year, about five times the rate per capita in Britain. Despite Japan’s fondness for testing, its health spending is about $4,000 a year a person, or 9.6 percent of gross domestic product. By contrast, the United States spends more than $9,000 per person annually, more than 17 percent of G.D.P., although some studies indicate that health care spending is leveling off. The difference is in part because Japan decides the value of each test and medicine, sets a price and demands that it decrease over time. When a new technology appears, a panel of policy makers and doctors determine the value based on the degree of improvement it offers. When M.R.I. scans became available, the panel declared them twice as effective as CT scans. But because the new equipment cost eight times more than a CT scanner, few clinics were buying. Manufacturers quickly slashed the price. The prices of medicines and tests are automatically reviewed and reduced by the panel every two years, and can drop more than 30 percent. “Hospitals need to invest in machines, but after that, they don’t need to spend much to keep doing the tests,” said Dr. Toshiaki Iizuka, a health economist at the University of Tokyo. In the United States, Medicare has similarly tried to prevent overuse by reducing payments for echocardiograms performed in doctors’ offices by an average of 40 percent since 2009, to only $92 today. But the result has not been fewer tests. Instead, testing has migrated to hospital outpatient departments, where higher payments for the same test prevail. And doctors can make up any shortfall by raising charges for commercially insured patients, leading to bills like the $5,500 one for Mr. Charlap’s echocardiogram. New Jersey had the second-highest charges for echocardiograms in the nation in 2012, 8.4 times Medicare’s approved rate. In a statement, the hospital in Princeton that performed Mr. Charlap’s first, more expensive echocardiogram noted that “the vast majority of customers” paid much less than the listed prices. It added that its pricing reflected the need to offset losses because many programs, including Medicare, reimburse less than the cost of delivering services. But that cost must cover some expenses in the United States not found in other medical systems. The area around Princeton has had a spate of new hospital building in the past five years. The University Medical Center of Princeton at Plainsboro, which has no connection to Princeton University, cost more than $500 million to build and has a curving atrium decorated with artwork from the hospital’s permanent collection. 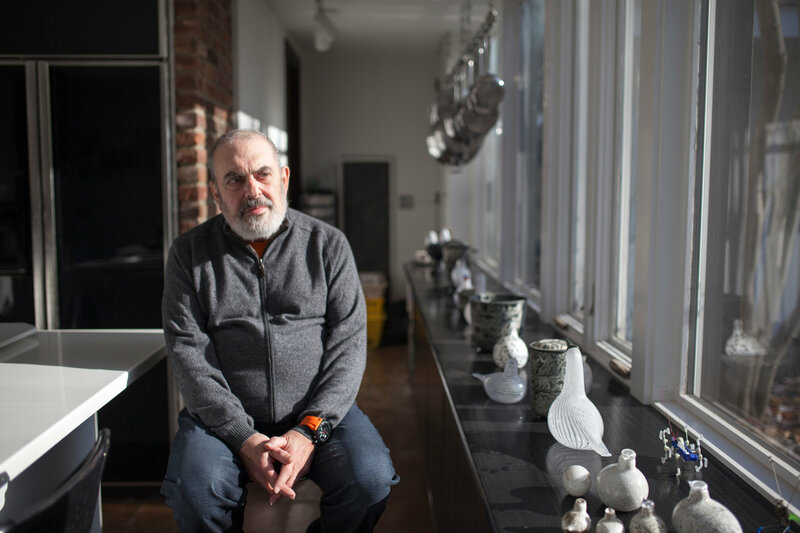 “It was like a luxurious museum,” Mr. Charlap said. Hospitals and doctors in the United States also spend far more on administrative costs than those in any other country. Even for a relatively simple test like an echocardiogram, commercial insurers often demand preapproval, and a host of middlemen and staffers are involved, driving up costs. Although medical groups cite malpractice lawsuits for the high prices in the United States, some studies suggest that is not a major factor. California, which caps malpractice liability for noneconomic damages, has the highest average charges in the country for outpatient echocardiograms, according to a recent study in the Journal of the American College of Radiology. New hand-held echocardiogram machines can be used for basic screening, potentially reducing costs. What did predict price in a region, according to the analysis? The more machines, the higher the bills. “You would think increased competition would cause price to go down, but it’s the opposite,” said Dr. Stein, the study’s author, who was then a student at Temple University School of Medicine. A year after his first echocardiogram, Mr. Charlap had another, at Harvard’s Beth Israel Deaconess Medical Center, that showed he needed a valve replacement. Though he now feels better than ever, the valve needs monitoring. How to do it? The newest miniature echocardiogram machines fit into a doctor’s white-coat pocket and, placed on the chest during an office exam, provide a snapshot of the heart. No longer do physicians have to listen for subtle clicks and whooshes through a stethoscope. Even primary care doctors in training can use the devices, which sell for well under $10,000, to detect basic heart problems with a few hours of instruction, according to studies. Such machines are being widely used in other countries and in pilot programs at some medical schools, but they are receiving a lukewarm welcome in the United States. Mr. Charlap’s internist has not used one on him.